Hokkaido, the northernmost island of Japan, is a popular travel destination for thrill seekers and foodies alike. The annual average of over 500 centimeters of snow makes the island a haven for skiers and snowboarders, while specialties such as fresh seafood and Sapporo-style tangy miso ramen bring hungry visitors from around the world. Whether you’re the adventurous type or the hungry type — or somewhere in between — spend some of your down time at one of Hokkaido’s konyoku onsen, or mixed-gender hot spring. Konyoku onsen have a rich history and culture. Sadly, more and more of these traditional baths are disappearing due to laws and lack of interest. But you can continue this relaxing and ancient tradition with your friends or lover! 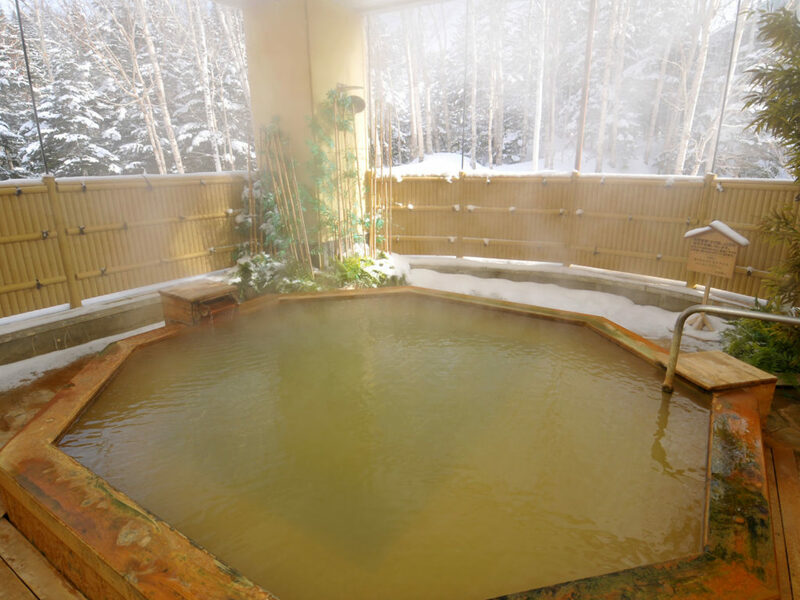 Here are nine mixed-gender hot springs in Hokkaido that are worth a visit! Those who seek a decidedly non-touristy experience must pay a visit to Aidomari Onsen. 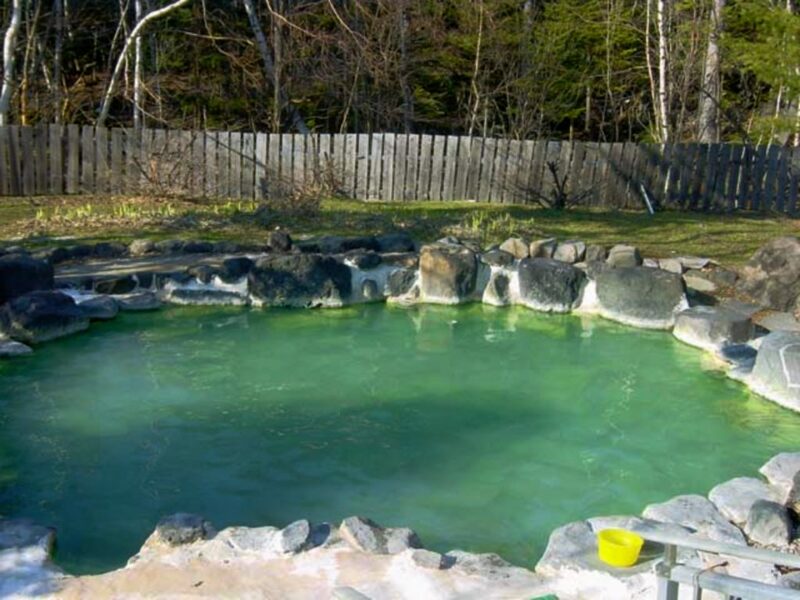 This hot spring is located in a desolate area of Hokkaido, where kombu, or kelp, farming takes place. This onsen is in the open so swimsuits are required. Bathing season is from May to September, but inclement weather can cause the establishment to close for the day. With that, mixed gender bathing is only allowed from May to June because segregating huts are put over the bath during kombu harvesting season. If you fancy a more luxurious and quiet experience, Daiichi is the location for you. Located in a ryokan, or Japanese inn, you can access the baths with a day pass for ¥600 or stay the night for the whole experience. The rotemburo, or open air bath, is mixed-gender bathing with a beautiful view of the river. Daiichi also has separated bathing facilities, so if you don’t want to stay in the mixed hot spring for a long period of time, you can enjoy other baths (though they won’t be mixed). Looking outside from the hot spring bath at Shirogane. A popular destination for skiers and outdoors men and women, Shirogane not only offers cheap lodging, but lovely bathing as well! What better way to end a long day of snow sports with a long bath with friends or a partner? Swimwear is required for mixed bathing, which is great for shy bathers. The warm waters of the Kotan Onsen open-air bath. 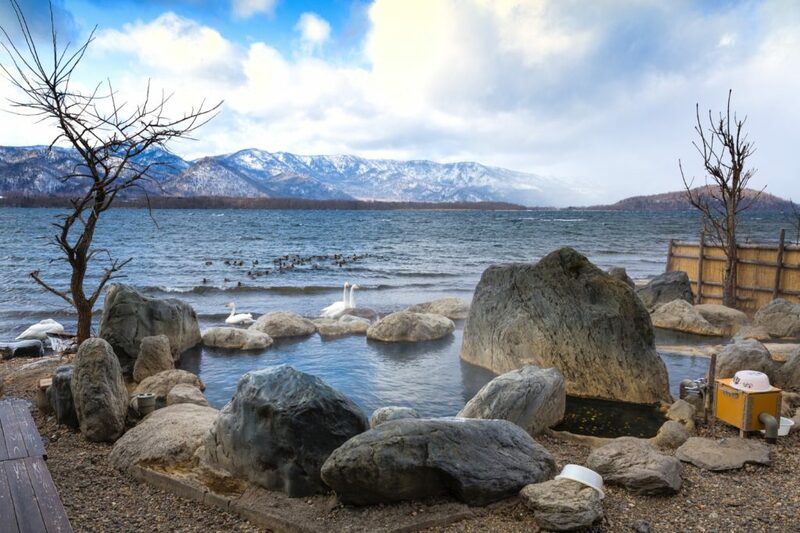 Kotan is located next to Lake Kussharo in northeastern Hokkaido, which gives visitors with a lovely view while soaking in the thermal waters. This spot is popular with both tourists and locals, providing you with a more “real” experience than most locations. Women wear bathing suits to this bath, while most men do not — though that does not mean that it is prohibited for men to wear swimsuits. 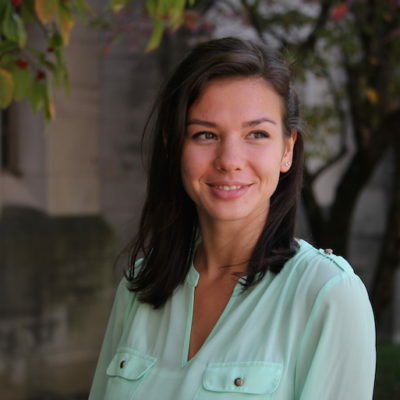 Another beautiful thing about Kotan is that it is free! 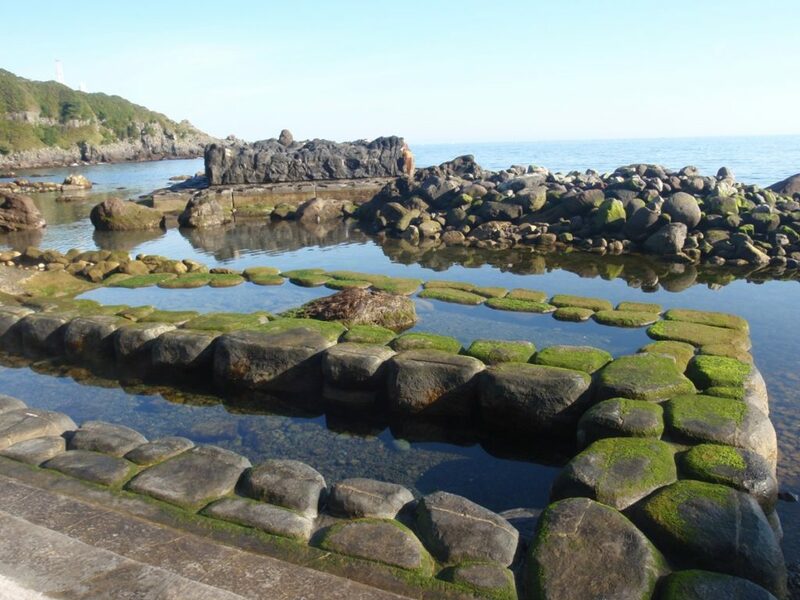 Enjoy a soak next to the ocean at Mizunashikaihin. This large stone bath is perfect for family outings, since there is copious amounts of space and swimwear is required. Mizunashikaihin is next to the ocean, so the time and tide affects its hours of use. Here is a link to the time tables for when bathing is allowed. Keep in mind that bathing outside of these hours is both prohibited and dangerous. UPDATE (12/13/2018): This onsen is now closed. Are you looking to go on a short hike before having a steamy onsen experience? Onneto yu no Taki can give you exactly that. A short 1½ kilometer hike will lead you to a beautiful stone bath with a magnificent view of a hot waterfall. This cozy bath is free of charge and swimsuit friendly! Why not go to a konyoku onsen while camping? Shikanoyu is located about five minutes away from Shikaribetsu Gorge camp grounds, which cost only ¥250 per adult to stay the night! Being far away from many cities, this is a perfect destination for nature lovers. After you set up camp, follow the signs to the outdoor pool where you will find a lovely natural bath next to the Yuyanbetsu River. This is a very natural bath, so there is a chance that seaweed will find its way into the water — though this might just be extra skin treatment, right? Bathing suits are strictly not allowed at this location so muster up that courage and be one with nature! These baths are truly a gift from Mother Nature. One small bath feeds into another, which then feeds into another, resulting in a total of three cozy pools. Because the baths are rather small, onsen goers tend to wear swimsuits, which makes it an appropriate destination for families. 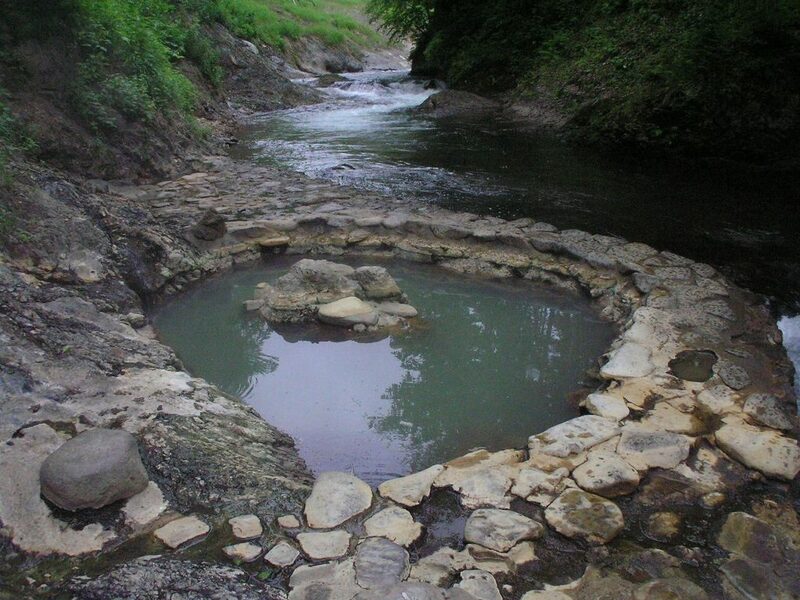 Enjoy this natural onsen in a wooded area for free and at any time of the day. 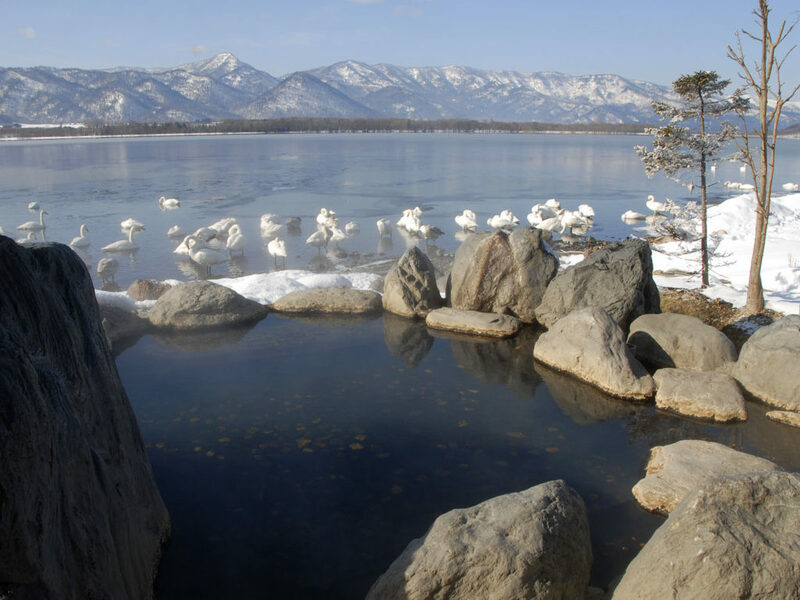 Yu no Kaku is another spot situated close to beautiful Lake Kussharo. This hotel is known for its many beautiful baths — and it’s mixed gender rotenburo are no exception. Pay this location a visit after spending some time in the Akan National Park or stay for a night to further explore the surrounding areas. This is a bath in a hotel, so… bathing suits are not allowed. Not in Hokkaido? Check out more than 20 other mixed-gender onsen in Japan. 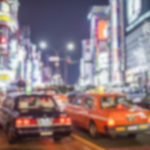 We will eventually be covering all of Japan, so watch out for our next article! Do you know of any mixed-bathing onsen in Japan outside the Hokkaido region? Let us know in the comments! 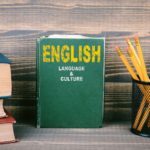 Being an assistant language teacher in Japan isn’t as bad as you may have heard.